Having worked for years as engineers, supervisors, production managers, and in various other leadership roles, two brothers— Chris and Ryan Ray—amassed their deep expertise and years of experience in controls, integration, engineering, and custom software to lay the foundation of Team Ray Technologies around the early 2000s as an engineering company offering premier automation and integration services. The duo’s professional and industrial expertise in various facilities fueled the growth of Team Ray. However, soon the two chemical engineer-turned-entrepreneurs realized the need for a more sophisticated solution for shop floor management, which resulted in the founding of Rockware Corp—a spin-off from Team Ray Technologies as a sister company, laser-focused on offering advanced shop floor management solutions for manufacturers. Rockware Corp delivers cutting-edge technology to solve some of the toughest control, quality testing, and data collection challenges in a manufacturing facility. “Being electrically-savvy with the ability to hook up to machines, understand networking, Open platform communications (OPC) and other similar aspects provide us an edge over our competitors to facilitate our customers with turnkey solutions,” says Ryan Ray, COO, Rockware Corp. The company’s strength lies in ensuring that the customers get exactly what they want—a software with no boundaries, as Ryan puts it. The company’s latest solution Rockware Intelligent Manufacturing Machine (IMM) aims to eliminate the heap of unyielding Excel spreadsheets with a centralized system to store production, maintenance, and quality data. Rockware IMM can combine shop floor systems along with accumulated customer input. Optional customized modules and interfaces can be provided to any new or existing system to ensure each customer gets exactly what they want. 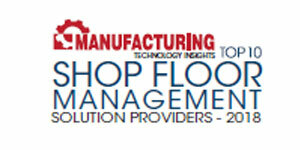 The layouts as well as the architecture of the solution’s components are unique to shop floor management for manufacturers. “We focus on our clients’ guidelines to set up a layout where they can have a holistic view of data on one page. We optimize the data flow from various sources to provide useful business and engineering information to execute real-time analytics and reporting, viewed across multiple interfaces with minimized keystrokes, mouse clicks, and/or touches,” says Ryan. The solution is designed from experience and expertise acquired by working with professionals and operators from a variety of industries. The real-world skills gained from these previous experiences separate Rockware Corp. from other shop floor management software providers. “We try to fulfill every technological requirement of our customers. 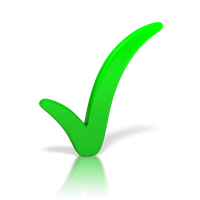 In doing so, we take a ‘yes we can’ approach when the customers want something different than our standard package. The solution is designed to make it feasible and easy to add new modules and components,” explains Ryan. At the core, Rockware IMM has been designed with an aim to create a common platform that could be used for any manufacturing environment. Recently, in an effort to expand the company’s realms, Rockware introduced its 6th generation solution with an added IoT capability, featuring text messaging, auto reports facilities, and more. Rockware’s primarily caters to the automotive industry; however, they provide innovative solutions to other manufacturing facilities as well. In an instance, the company assisted a plant with a hundred molding machine, 30 decorating machines, and over 25 supply lines, to streamline their operations. Rockware’s team developed an application on the phone so that customers can see the state of their entire plant which is like an overall equipment effectiveness (OEE) schedule for the day. They can keep an eye on the OEE by the hour for every single work center. “We have added engineering shift recap that complements the existing supervisor shift recap that takes the production data. We have also tied in some overhead paging systems in certain locations for quick notifications,” adds Ryan. Currently, the company is working on adding a central repository to the platform for safety, quality, and engineering data.